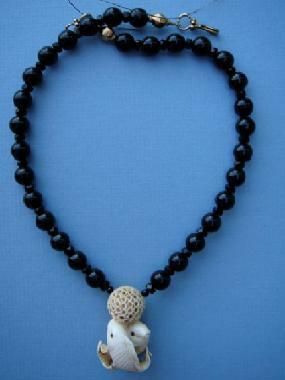 This one-of-a-kind necklace is made with a wonderful mammoth ivory netsuke of two fish and black onyx beads. The fish is symbolic of abundance, prosperity, wealth and persistence. It is also believed to represent an advantage in business. A pair of fish symbolizes a happy marriage. 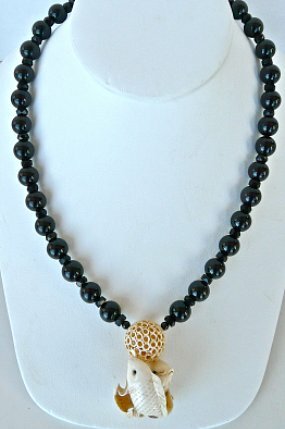 Onyx is known as the gem of the midnight hour.